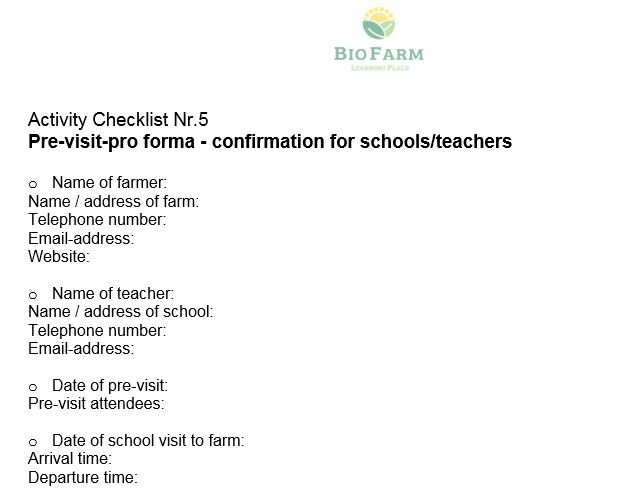 When a school contacts the farm for a visit, get back to them as soon as you can and finalise a date. Send a booking form outlining what is available, and any charges, then confirm with a timetable so teachers know what to expect. You can find relevant information/notes that should be mentioned in this confirmation in our checklist “confirmation form for schools/teachers”. It is annoying, if you prepare everything and the group is not coming. And it would be frustrating for children and teachers if they are looking forward to the visit and the farmer forgot it. So better call the teacher some days before the visit to remind to the farm-visit.